Open letter by leaders of leading robotics & artificial intelligence companies is launched at the world’s biggest artificial intelligence conference as UN delays meeting till later this year to discuss the robot arms race. Open letter by leaders of leading robotics & AI companies is launched at the world’s biggest artificial intelligence conference as UN delays meeting till later this year to discuss the robot arms race. An open letter signed by 116 founders of robotics and artificial intelligence companies from 26 countries urges the United Nations to urgently address the challenge of lethal autonomous weapons (often called ‘killer robots’) and ban their use internationally. 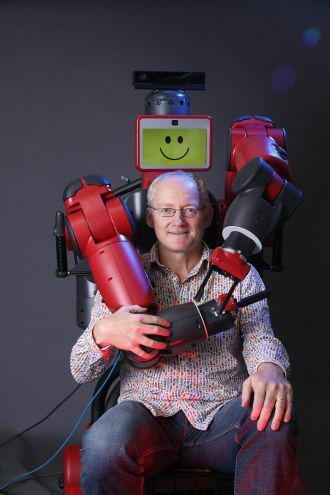 Portraits: Photos of Toby Walsh with UNSW’s Baxter Collaborative Robot, made by Rethink Robotics (a U.S. company founded by Australian Rodney Brooks). Credit: Grant Turner/UNSW. 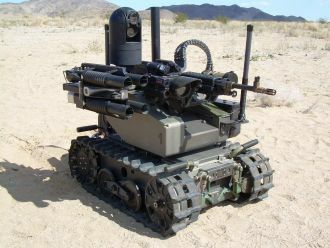 Killer robots: Images of autonomous weapon systems currently in use or being developed. The 2017 Open Letter: An open letter signed by 116 founders of robotics and artificial intelligence companies from 26 countries. A news conference will be held at 11am on Monday 21 August 2017 to open the IJCAI 2017 conference in Banquet Room 201 of the Melbourne Exhibition and Conference Centre, where we will answer questions on the technical, legal and social challenges posed by autonomy especially in areas like the battlefield, and on the open letter. Address: 1 Convention Centre Pl, South Wharf VIC 3006. Distinguished Professor Mary-Anne Williams is Director, Disruptive Innovation at the Office of the Provost at the University of Technology Sydney (UTS). She is also Founder and Director of Innovation and Enterprise Research Lab (The Magic Lab) and a Fellow at Stanford University. From its earliest beginnings, human history is a tale of an arms race littered with conflicts aimed at achieving more power and control over resources. In the near future, weaponised robots could be like the velociraptors in Jurassic Park, with agile mobility and lighting fast reactions, able to hunt humans with high precision sensors augmented with information from computer networks. Imagine a robot rigged as a suicide bomber able to detect body heat or a heart beat that might be remotely controlled or able to make its own decisions about who and what to seek and destroy. If we built a killer robot today, it would be dangerous in different ways - more like an unhappy, unstable toddler wielding an AK47 wanting to kill "bad" people. Robots today have limited perception and mobility capabilities in real world applications, but they are rapidly being enhanced with intelligence and autonomy. There is no question robots can be developed at scale to efficiently seek and kill humans, possibly any human. The risk to human life is real and so too is robots' vulnerability to hacking and to be used as a sophisticated technology espionage and terrorism. I signed the killer robot ban in 2015 because state-sponsored killer robots are a terrifying prospect. However, enforcing such a ban is highly problematic and it might create other problems; stopping countries such as Australia from developing defensive killer robots would leave us vulnerable to other countries and groups that ignore the ban. Furthermore, today the potential loss of human life is a deterrent for conflict initiation and escalation, but when the main casualties are robots, the disincentives change dramatically and the likelihood of conflict increases. Society and nations need much more than a killer robot ban. Lethal autonomous robots differ from existing ‘fire-and-forget’ weapons because - although both prosecute targets without human involvement once their programming paradigms are satisfied - military advantage versus collateral damage estimation is undertaken by humans only for existing weapons; and humans are accountable under international humanitarian law. Decisions regarding the legitimacy of lethal autonomous robots thus hinge on whether they comply with international humanitarian law. If lethal autonomous robots are to comply with international humanitarian law, they cannot be indiscriminate: they must be constrained by paradigms that classify targets by signature or region. Ideally, lethal autonomous robots would balance key principles of international humanitarian law - discrimination and proportionality - using sophisticated algorithms yet to be developed; although it remains an open question as to whether they would ever successfully achieve this all of the time: it challenges humans. However, the standard of international humanitarian law is one of reasonableness, not perfection; and the declaration of a weapon as unlawful centres on its inability to be directed discriminately at lawful targets under any circumstances, combined with the suffering caused by the effect of the weapon. This is not changed by the autonomy of an engagement. Finally, lethal autonomous robots might well reduce collateral damage - just as the current arsenal of fire-and-forget weapons have. This negates the notion that lethal autonomous robots should be declared unlawful per se. The key is to establish circumstances under which their use might be permitted and to develop practical legal frameworks that allocate responsibility for infringements. In the past, technology has often advanced much faster than legal and cultural frameworks, leading to technology-driven situations such as mutually assured destruction during the Cold War, and the proliferation of land mines. I think we have a chance here to establish this kind of legal framework in advance of the technology for a change, and thus allow society to control technology rather than the other way around. I have seen first-hand the appalling legacy of land mines in countries such as Vietnam (where RMIT has two campuses), where hundreds of people are killed or maimed each year from mines planted over 40 years ago. It is an excellent idea to consider the positives and the negatives of autonomous systems research and to ban research that is unethical. An equally important question is the potential for non-military autonomous systems to be dangerous, such as trading bots in financial markets that put at risk billions of dollars. Soon we will also have autonomous AIs that have a basic psychology, an awareness of the world similar to that of animals. These AIs may not be physically dangerous but they may learn to be dangerous in other ways just as Tay, IBM's chat-bot, learned to be anti-social on Twitter. So what are our ethical responsibilities as researchers in these cases? These issues deserve a closer examination of what constitutes 'ethical' research. 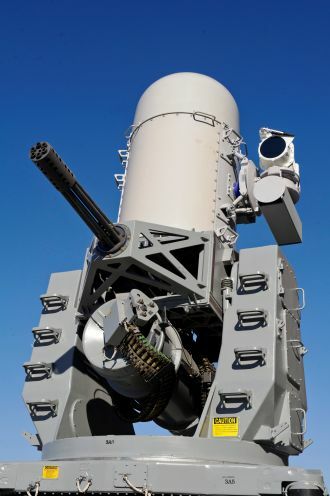 Raytheon Phalanx Close-In Weapon System, which automatically searches, detects, evaluates, tracks, engages and and destroys incoming missiles. The same technology could one day be used against living targets. 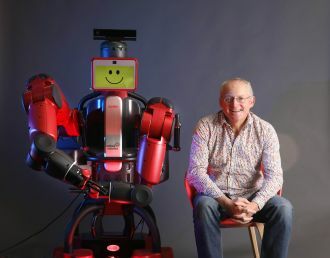 Toby Walsh , Professor of Artificial Intelligence at the University of New South Wales, has led the international campaign ban lethal autonomous weapons, or 'killer robots'. at the United Nations. The Qinetiq MAARS (Modular Advanced Armed Robotic System), an unmanned ground vehicle for reconnaissance, surveillance and target acquisition in battle, currently under development. 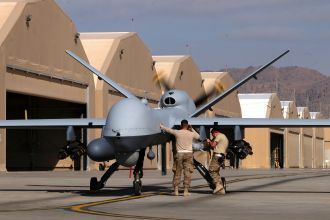 The MQ-9 Reaper drone is one of the lethal weapons whose operations in battle could easily be automated. 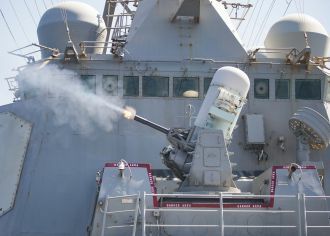 The Raytheon Phalanx Close-In Weapon System used by the Australian Navy, which automatically identifies and destroys incoming missiles. While purely defensive, it's an example of an autonomous weapon that could be adapted for lethal use.